Both are pretty! Also, Shuichi reminds me of Saionji (SDR2) so much . . . both are traditional dancers lol. Thanks, also she isn't a traditional dancers. She's just born in the family of traditional dancers. That's okay, there are also Danganronpa references in her like her last name from Shuichi Saihara and her school uniform from Kaede's. Meet Ash Ketchup, he is in the Munchmore section. Jimmy Helium is added in the Mysterious One section and there is also a fan art topic. Jimmy: So beautiful!! I want a fidget spinner!! Ernest: I needed some help from expert programmers in order to make this one. 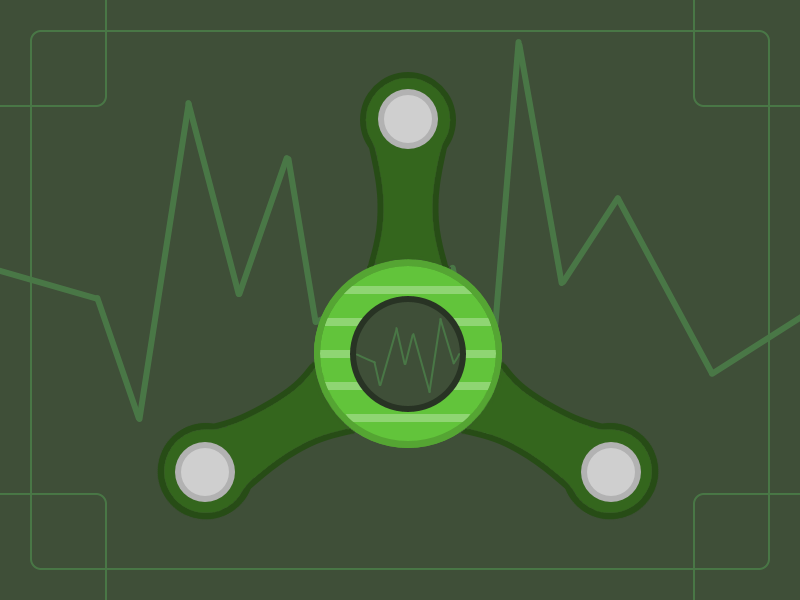 To start, this virtual spinner is a three-pronged design. Each prong is forest green with a virtual metal ball. The base is lime green with very light green vertical stripes. Finally, the cap is gray with Jimmy's signature EKG. I hope you like it, Jimmy. Choco: That's nice thing to do to Jimmy. And I could help with that too you know. Blueberry Pi is here!! And before anyone asked, i'll make Prankster Pie's own profile. So she can have her own style B.
Blueberry Pi's split personality, Prankster Pie is here!! There's also a poll about who's your favorite split personality!! lol that Prankster Pie seems hilarious and interesting. We got ourselves a new fancharacter named Aia Shuichi, she's in the others section. Yeah, she's a spoiled brat as Hiyoko Saionji.